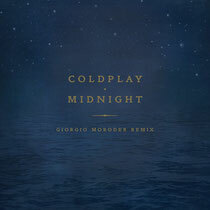 Coldplay recently announced that ‘Midnight’ - one of the songs from their upcoming new album ‘Ghost Stories’ - has been remixed by Giorgio Moroder. The legendary Italian electronic music pioneer’s reworking is available to download now, from iTunes. Coldplay's sixth album, ‘Ghost Stories’, is released worldwide on Monday, 19 May. Fans who pre-order the album from iTunes.com/Coldplay now will immediately get the album version of ‘Midnight’, as well as the single ‘Magic’. Check the remix on Moroder’s SoundCloud page below.